One of the greatest mathematicians of his generation (and ‘probably Britain’s greatest mathematician since Isaac Newton’ according to Ian Stewart), Sir Michael was awarded countless prizes and medals, including the Fields Medal, which he was awarded in 1966. Beyond his 1966 Fields Medal, he was also the joint recipient of the 2004 Abel Prize. Both were awarded for his work with Isadore Singer on the differential equation-related index theorem – which Atiyah described personally as “a bit of black magic”. In their official statement on the award, the Abel Prize organisers said that: “Atiyah and Singer will receive the prize for their discovery and proof of the index theorem, bringing together topology, geometry and analysis, and their outstanding role in building new bridges between mathematics and theoretical physics”. 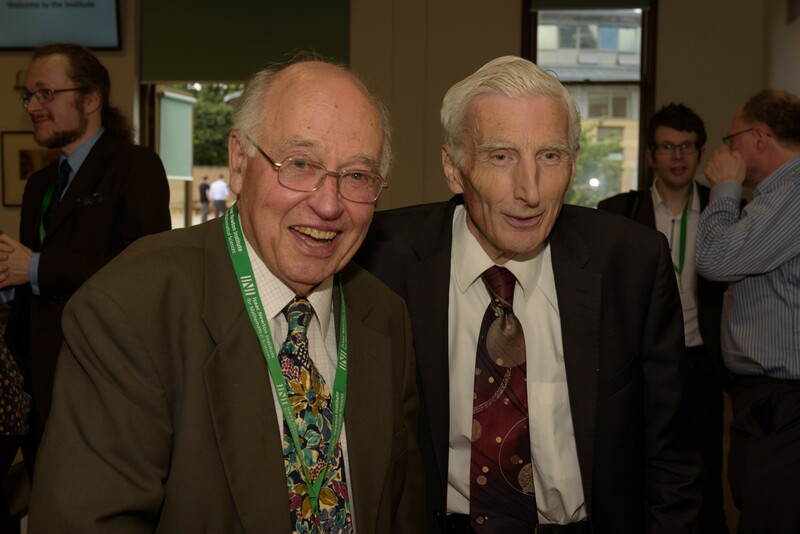 Sir Michael is pictured above with Lord Martin Rees, both early sponsors of MathsWorldUK. Photo by Jean-Luc Benazet, Isaac Newton Institute. No Replies to "Sir Michael Atiyah (1929-2019)"